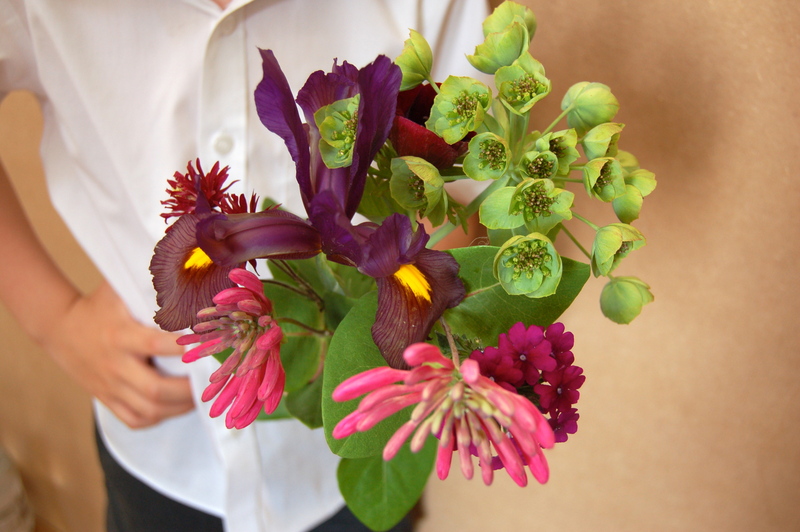 As the title suggests, C came home in mid June with a wish to pick flowers. 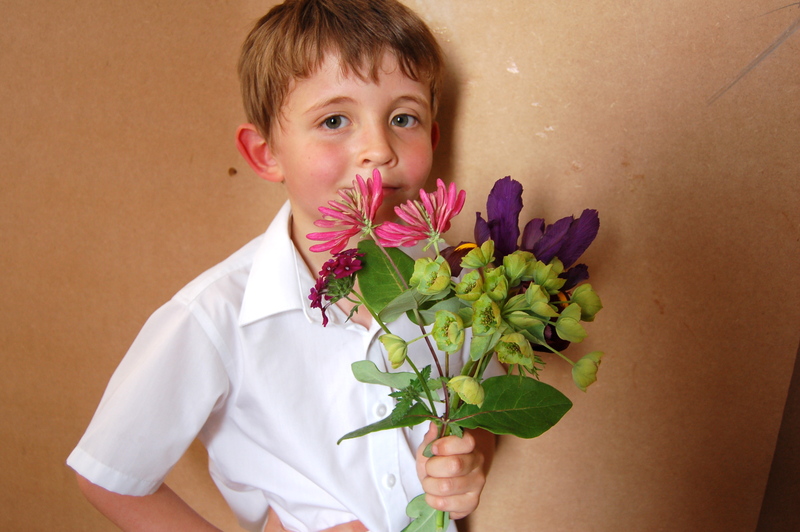 He is the kind of kid who picks daisies in the park, then brings them home and floats them in glasses of water and gets upset then they wither. I am home alone again, with M away in the US for work. I find I bake bread a lot more when this happens, sometimes simply because I run out and just can’t be bothered to go to the shops and sometimes simply because I feel like an edible treat. I am not a great baker, I do try though, my Gran was really very good, keeping secret recipes and regularly making biscuits and cakes for village events (and us! ), I am just not that good, although my bread is pretty decent. I am fickle and my favourite bread recipe changes often. The one I used to make the most was Nigella Lawson’s ‘Maple Pecan Bread’ from her book ‘How to be a Domestic Goddess‘, this was replaced recently by Merry Berry’s ‘Honey-glazed Walnut Bread’ from ‘Mary Berry’s Baking Bible’, which makes two loaves and it freezes amazingly well, so I always put one in the freezer. My old favourite white loaf is also by Mary Berry, it’s light and soft inside and perfect for the boys who can sometimes get a bit fussy about my ‘nutty’ breads (or bread with bits in as they would say), and as our everyday bought sliced loaf is always wholemeal or seeded, they quite like the ‘treat’ of white bread occasionally. 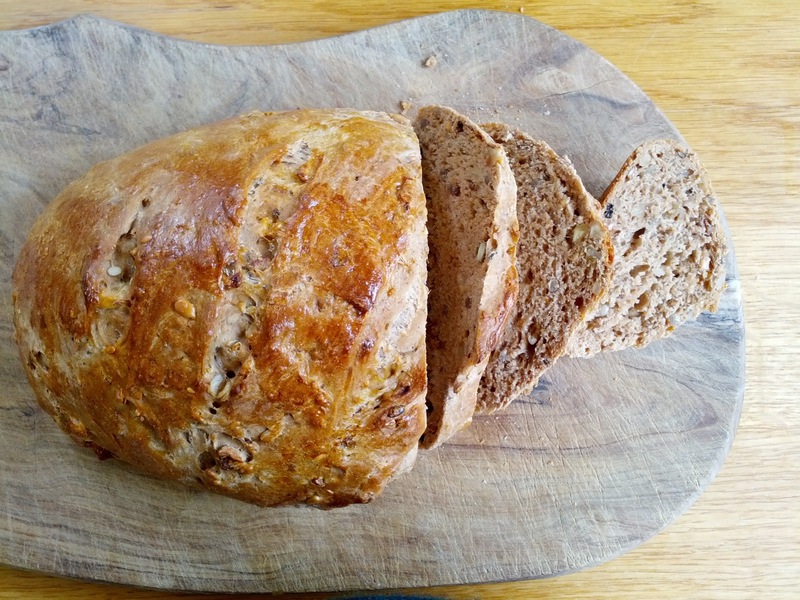 Another recent winner, and one the boys will eat is the ‘Scandinavian Rye’ bread from the Hairy Bikers’ Bakeation series, it has added caraway seeds, which I didn’t realise I liked so much until I made this bread. Also, a winner from this series, are the ‘Cardamom and Lemon Cookies‘. I have a bit of a thing about cardamom so these really hit the spot for me, I was very surprised that the boys liked then so much (which they did), they are perfect with a coffee (served here on my fab cup and saucer in the vintage Crown Devon ‘Stockholm’ design as given to my by my Sister-in-law for my Birthday last year – thanks A!). I find that I generally quite like Scandinavian recipes, I have a number of Scandi cook books and another bread I make quite often is the spelt and oat bread from Signe Johansen‘s ‘Scandilicious‘. When I am attempting to cut back on my wheat intake (the down side of baking bread is I can eat copious amounts, ideally whilst still slightly warm, not great for a waistline that hasn’t ever recovered from having children) this is a great bread, it can be a bit crumbly but it tastes delicious. Scandelicious – ha ha. Sorry. As I’m chatting about bread, my favourite Focaccia recipe is one by Sarah Raven from her ‘Garden Cookbook‘, it produces the best air bubble filled of any recipes I’ve tried. The only additional thing I do is wash the top of the bread with a mixture of oil and water directly after it comes out of the oven, it gives the bread that same oily soft texture that I associate with Focaccia in restaurants. 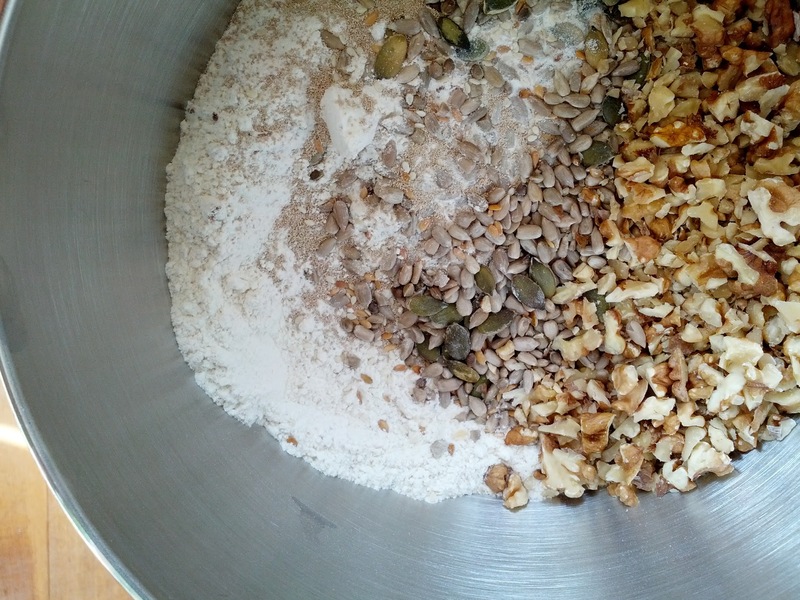 Mix your dry ingredients in a very large bowl. Add the water (start with 350ml) and stir to get a shaggy mess. I add a little extra water to make it really very soft and shaggy. Cover with cling film and leave for 4 hours. After 4 hours is up, put a big cast iron casserole dish into a 230 degree oven, with the lid on. Pour some olive oil over (a big dribble) the now risen bread mixture and use a spatula (also coated in oil) to flatten and fold the dough a few times. Make sure the bowl and dough are coated in oil, cover with cling film again and leave for 30 mins. Remove the now very hot casserole dish from the oven. Carefully tip the dough into it, ideally without knocking all the air out. Cook in oven, with lid on for 30mins, then for another 15mins with the lid removed. Take out, and cool bread on a rack. 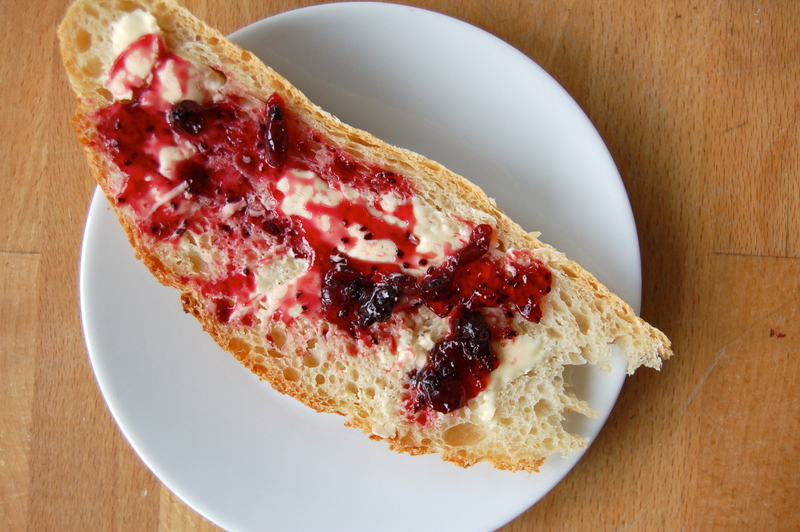 I am so in love with this bread recipe that I’m not sure I can ever make any other kind. It is airy, has a lovely crust and having made it over and over in the last few weeks, it comes out perfect every time. My youngest son is looking over my shoulder and thinks the title is very funny. Well actually he just likes to be allowed to say, over and over, “You’re rubbish!” Anyway, I am absolutely embarrassed to realise that nearly 4 months have passed since Kirsten of The Happy Larder kindly passed the Liebster Award along to me. To be fair, the end of last year and beginning of this weren’t the best for us and I dropped a lot of balls but it’s still pretty useless of me to not say thanks. I’m a lucky lady, as I run two blogs, I’ve been the recipient of the Liebster Award a few times on my other blog, and I’m afraid, over the years I’ve become really crap at passing awards along, but do please pop over to The Happy Larder as you wont be disappointed, so many lovely recipes and food ideas, well worth a visit. Thank you Kirsten and sorry again, for the delay in mentioning it. I have a new shed. As mentioned in recent posts, we are planning quite a big garden overhaul, and it will include a second shed (ours is currently so jam packed with bikes, preserving jars and junk, that you can hardly get the door open). I had thought to move the garden tools that sit in the corner of my greenhouse into the new one, but realised I’d be way too lazy to go get them or put them away properly, it being a bit away from ‘the patch’ so I treated myself to a mini tall shed, just for my tools. 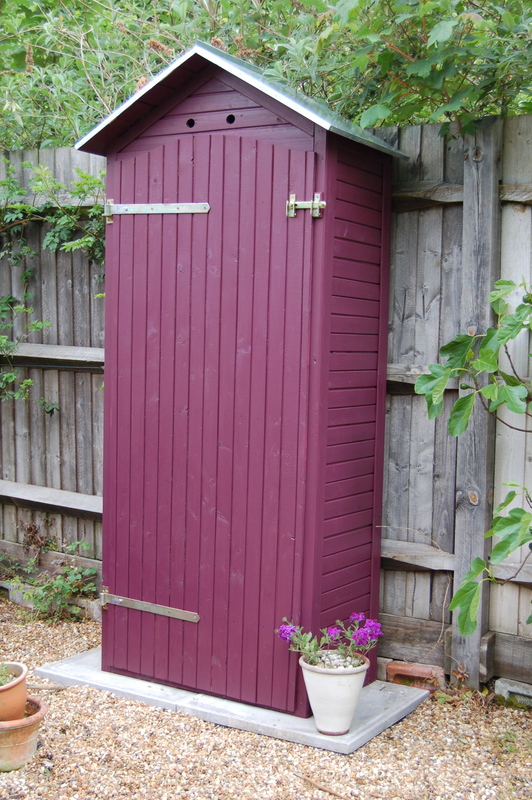 I was completely sucked in by the image on the Cuprinol website and chose some lovely shed stain in ‘Summer Damson’, I decided to keep the inside natural. The shed came from the Garden Site (who have a great price and I’m very happy with) but is made by Forest Garden and can be bought all over the place. I have to say, having been so disappointed by the garden trough (NOT ordered from Garden Site or Forest Garden) the shed was such a pleasure to put up. Power tools were needed but it was super easy to assemble and the instructions were nice and clear. I only opted to put the one shelf up inside, so I can easily fit my tall tools in, but I plan to add some hooks etc. I Love it. 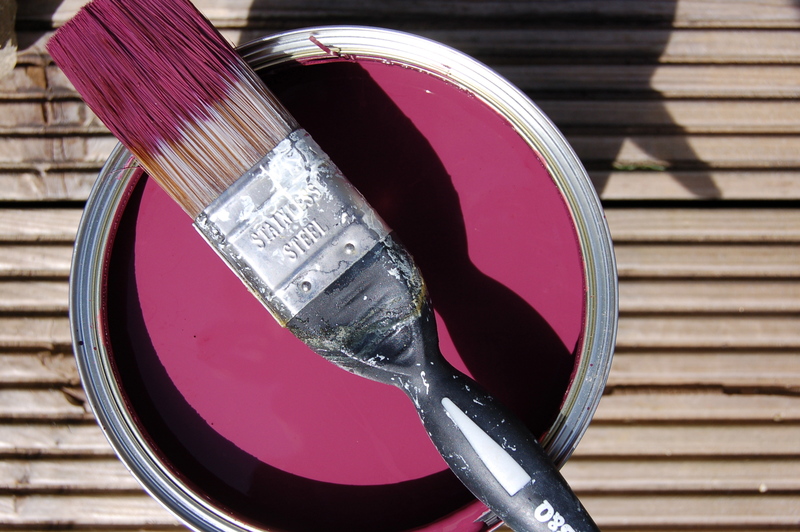 M is so impressed by the colour, he’s given me permission to paint our existing shed damson as well – bonus! If you’re wondering why the photos of the shed are a bit dodgy (note the single pot of verbena shoved by the side for prettiness) and why there are no inside shots, it’s because the shed is still empty and I was rushing to take a photo in the rain before we dashed off the Centre Parcs for the weekend (oldest’s B-Day treat). 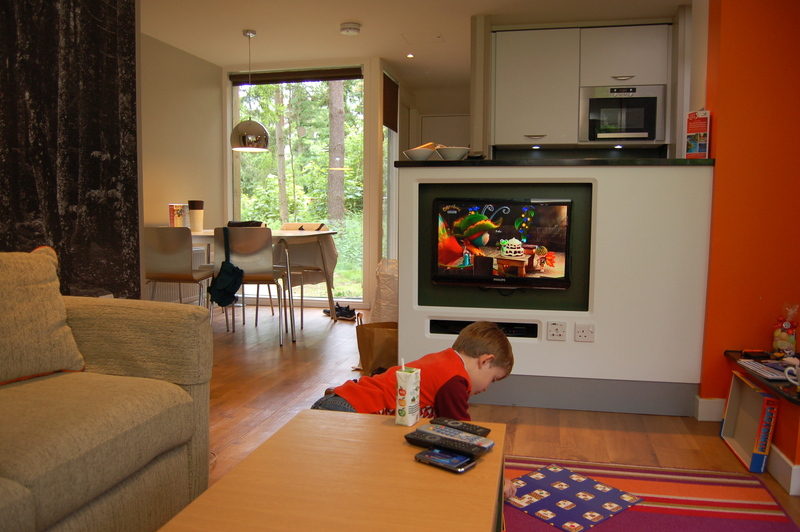 Sorry for those that read both my blogs, you’ve seen these images already but we LOVED Centre Parcs, I wasn’t expecting to be so impressed, I was sure I’d find it too artificial and busy (and it was very, very busy, you just have to time things right) but actually, if you relax into accepting what it is, the holiday was wonderful. 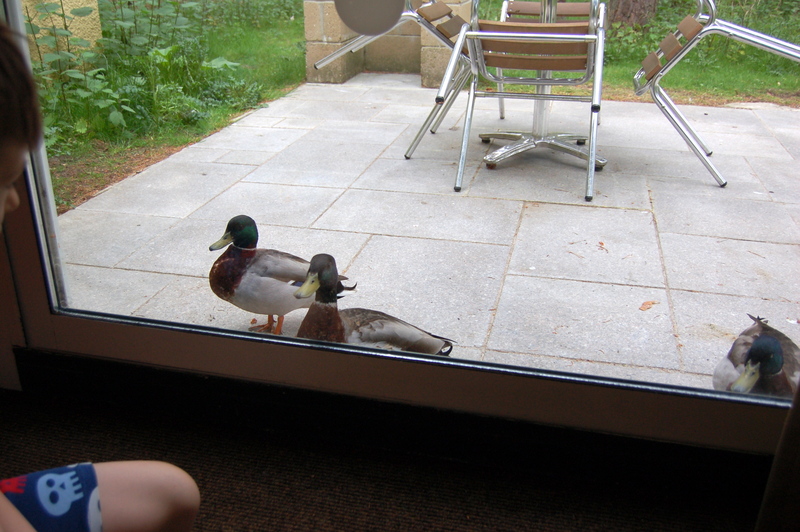 I loved our lodge in the woods, we are quite spoilt having so much glass in our home and lots of wildlife directly outside the kitchen but it was still fun watching deer, squirrels, rabbits (OK, maybe not the rabbits, I see enough of them every day) and ducks wander past. 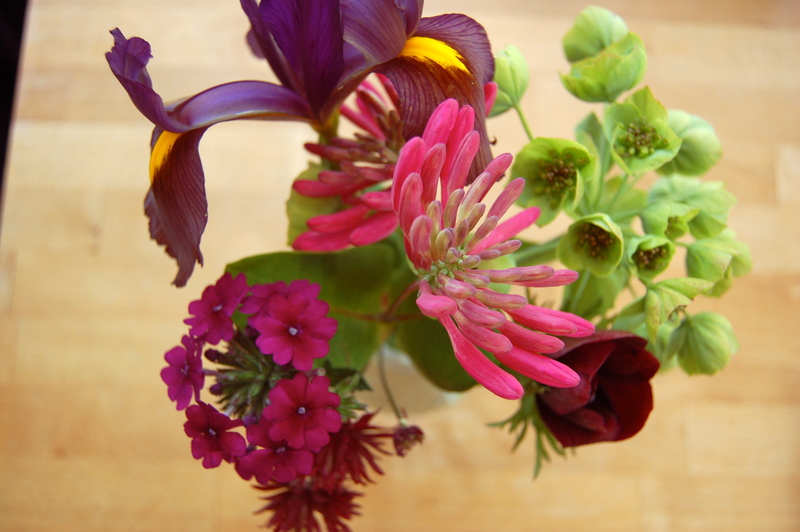 On our return, I planted this lot out. Finally, I have peas!….pending the mice still not stealing them now they are in the garden. On the down side, my cucumbers, aubergines and melons are not looking so happy. 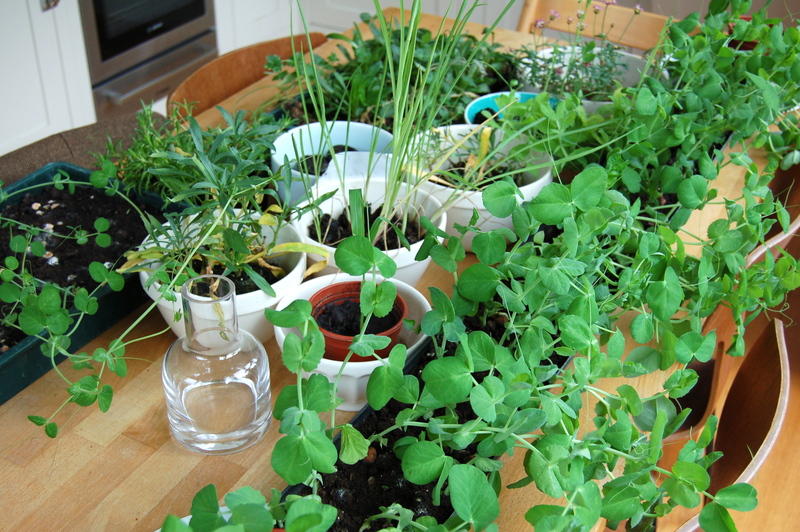 I was a bit naughty, potting them up too swiftly (there should have been another medium sized pot in-between) and they may not make it, as they are obviously trying to grow roots to fill their new cavernous space, instead of leaves. So silly/lazy of me, I should know better, I’m keeping my fingers crossed. 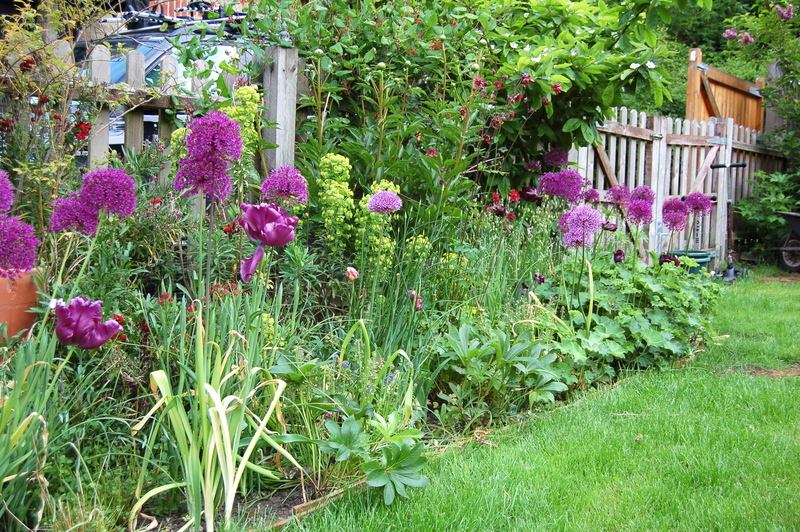 I took the rabbit proof wire off the side border, since taking this image, the iris have all opened. I am loving this bed this year, so far it is colourful and full and puts the rest of the garden to shame. 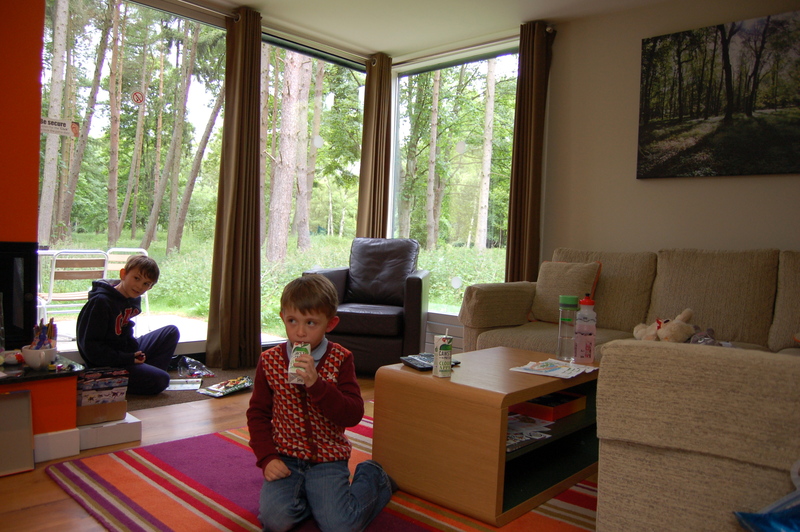 OK, it’s Sunday, I am home alone (M is in Berlin, doing an Iron Man – go Marcus!) 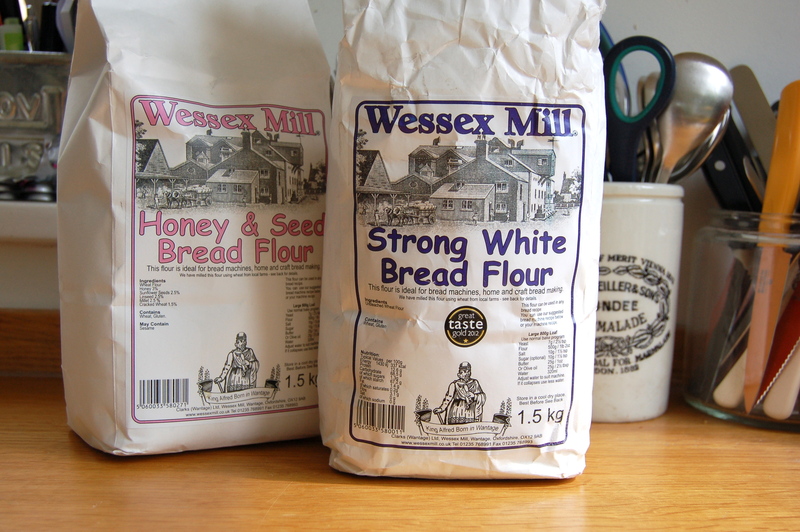 and I am about to make some Speedy No-Knead Bread – I’ll let you know how that goes.